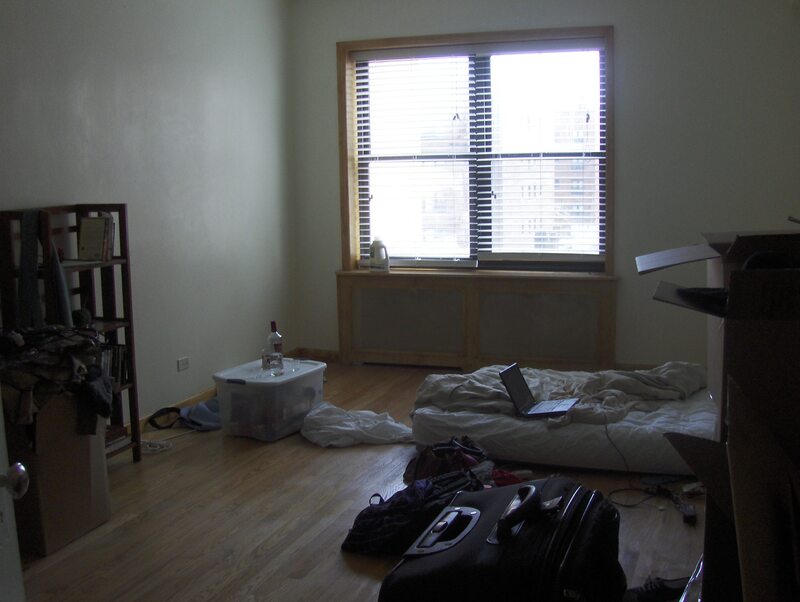 My massive new room in Queens! On my wish-list is a desk, a comfy chair, a lamb, a table, and rugs. At this moment, though, I had to be content with an air mattress, an empty bookshelf, and that bottle of Vodka.